When trolling the net today (not for inspiration or information or anything in particular), I came across a blog with a name kind of similar to ours . 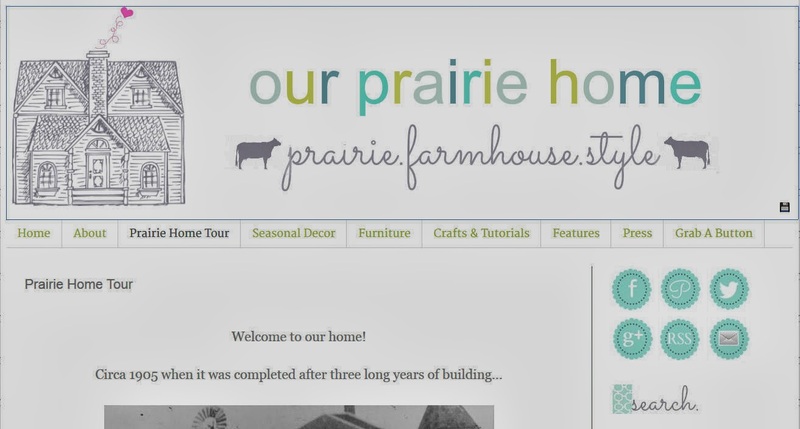 . . Our Prairie Home. I often hem and haw about whether or not to click through when I see such names. We’re a dodgy lot, us prairie people. Sometimes, those blogs can be fan sites of Laura Ingalls Wilder or the Little House on the Prairie series, both of which I love to my tippy toes. Sometimes, they are wonderful homesteading sites with how-to’s on canning and making fab stuff from scratch. And, sometimes, they are cute names for serious doomsday preppers, complete with tutorials on how to skin squirrels and build sustainable micro-systems out of plastic bottles and peat moss. Nothin’ wrong with any of those options, but I didn’t know what I would find. Whatever I expected, it sure wasn’t what I found! I want to sing it from the mountaintops! 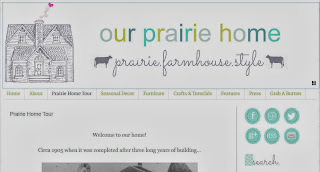 I LOVE this site. . .written by a lovely mother of six, Laura, who lives in Iowa and creates the most beautiful pieces of furniture. . .well, refurbishes them, really. Her stuff is gorgeous, but what I love even more is the way she writes her blog. . .the layout is so artistic and engaging and the content is beautifully written. Honest and encouraging and often a hoot. I am attracted to all things simple and lovely and leaning toward light. Ms. Laura. . .you are all that, and more! What a breezy, uplifting journey your site took me on. . .can’t wait to visit again!